Winter weather is here! 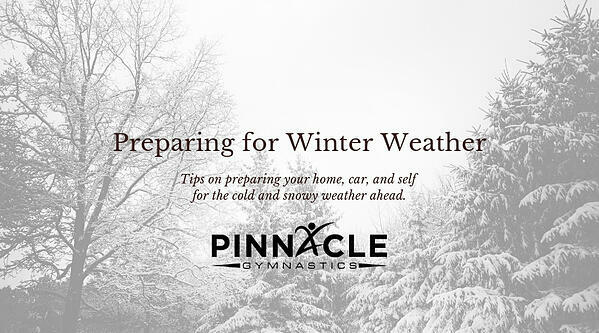 Here are a few tips to help you prepare for inclement/winter weather for your home, car and yourself. This list may be a tedious one, but one that will save costly repairs later down the line. Check windows and doors may need to caulk and weather strip doors and windows. They also sell plastic window and door kits at any local retailer to put on those drafty windows and doors that aren't used during the winter months. Repair roof leaks and remove the branches that could get weighed down with ice and snow and fall on your home. Wrap water pipes in your basement or crawl spaces with insulation sleeves. Keep a slow trickle of water flowing through faucets connected to pipes that run through unheated/unprotected spaces. Insulate the attic floor well and minimize the amount of heat rising through the attic from within the house. Check your tires and make sure the tread is good. Depending on what part of the country you live in you might consider snow tires. Keep fluids topped off in car. When driving in bad weather, stay on main roads and avoid back roads and short cuts. Keep others informed of your schedule. Adhere to what the news is saying if they are heavily suggesting to stay off the roads then try to rearrange your schedule to do so if possible. What To Do If You Are Trapped In Your Vehicle? Now I hope this doesn't ever happen to anyone, but in the event that this does adhere to these tips. Remain inside, rescuers are more likely to find you there. Take turns sleeping, someone should always be awake to alert rescuers. If you are by yourself set your alarm to wake up every hour. Avoid over exertion when shoveling snow. It's a serious workout and going at it to hard can bring on a heart attack (major cause of death during the winter). Shovel each time you have around 2 inches of snow instead of waiting until the end of the storm. Stay dry. Wet clothing loses all of its insulating value and transmits the cold. If any of the hypothermia symptoms appear get yourself (or the victim) to a warm location. Remove wet clothing and warm the center of the body first. Give the patient warm, non-alcoholic beverages if they are conscious. And of course, get medical help as soon as possible. You never know what type of situation that you will find yourself in, it's always good to be prepared for any type of situation. 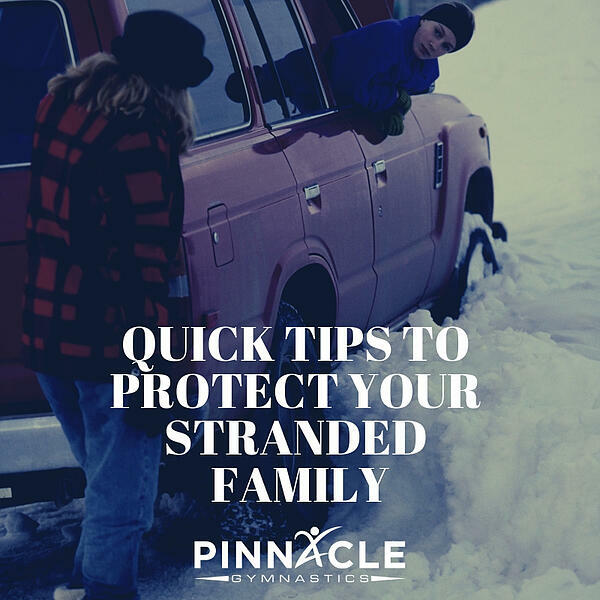 I hope you are able to take a few of these helpful tips away and in an event that you find yourself in one of these situations you will be prepared.